Officials in India have "arrested" 18 lions as they try to find a man eater suspected of killing three people. Forest officials in Gujarat state will test the lions' prints and excrement in an attempt to identify the killer. 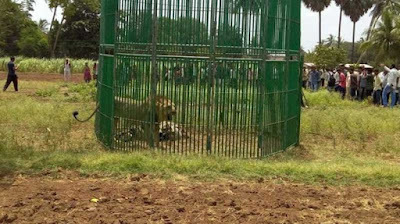 The "guilty lion" will be kept in a zoo for life while the others will be released back into the Gir sanctuary, the officials said. Six attacks on humans have been reported recently near the sanctuary, the only habitat of the Asiatic lion. 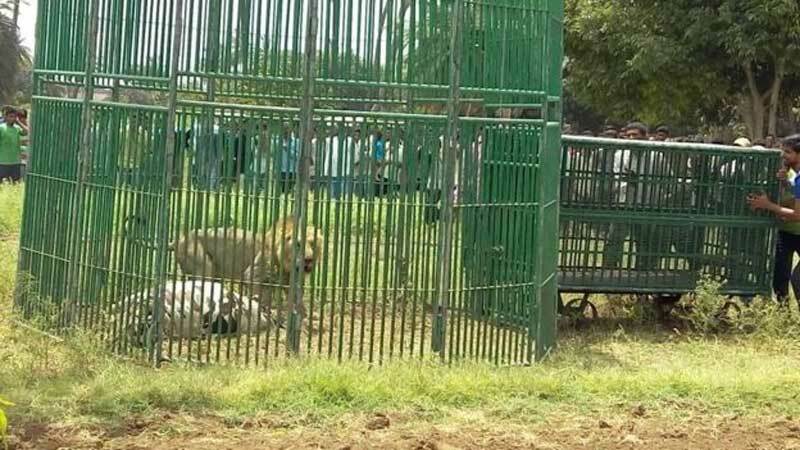 Gujarat's top forest official, JA Khan, said that the lions had been "arrested" over the past two months and were now being held in separate cages while tests were carried out. "We think we have pinpointed the guilty lion, but we are still awaiting the results of nine more animals," he said. 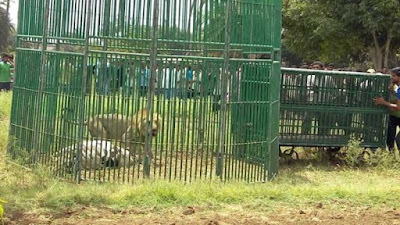 Wildlife expert Ruchi Dave said that the "tests" involved studying the pug marks and faecal matter of the lions. "The officials are also studying the animals' behaviour. Man eating lions usually get aggressive at the sight of a human being," she said. 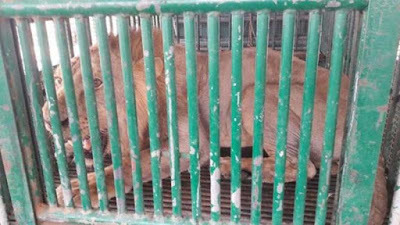 Another wildlife expert Revtubha Raizada said the man-eating lion would be caged for the rest of its life, as it was too unsafe to release it back into the wild. Some experts feel that the thriving lion population in Gir forest is to blame for the "unusual" behaviour by the lions. Govind Patel, the former chief wildlife warden of Gujarat, said that Gir could accommodate only 270 lions, forcing some prides to settle outside the boundaries of the sanctuary. India's Supreme Court has ruled that Gujarat needed to relocate some of its lions to other states to avoid the possibility of disease or other disaster wiping out the entire population. However the state has expressed reluctance and has not yet complied with the order.